Welcome to the fantasy land of Eoana (ee-o-an-a), where humans, being the only civilized species, are each born with a unique skill or talent that are known as raiments. Everyone is born with some kind of raiment, which are then divided into 7 categories, which are known as Knits. These raiments are unique from person to person and while they may be some similarities, no one has the exact same one. 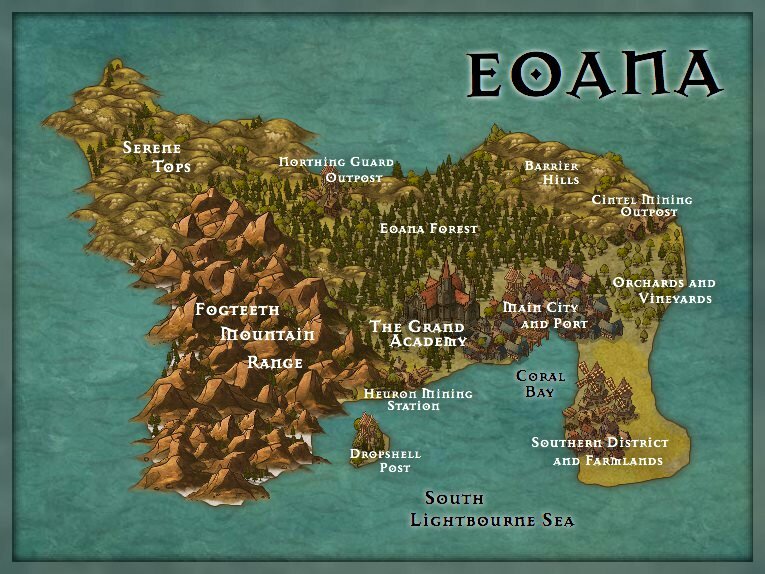 For as long as people could remember, the land of Eoana was dominated by two rival kingdoms separated by the sea, Valor and Trendel, and while there were many other smaller kingdoms, none were as large or as powerful as these two kingdoms. For centuries, these two countries have been at constant war with each other but eventually they settled for peace with other kingdoms following them. This led to the creation of a new, truly neutral country that would host the Grand Academy of Eoana. This Academy is where countries from around the world send their children to advance their raiments and skills to a much more powerful point. Some parents send their children to advance themselves or better the world, other's send them to better their country with hopes of eventually reinstating the horrible war. 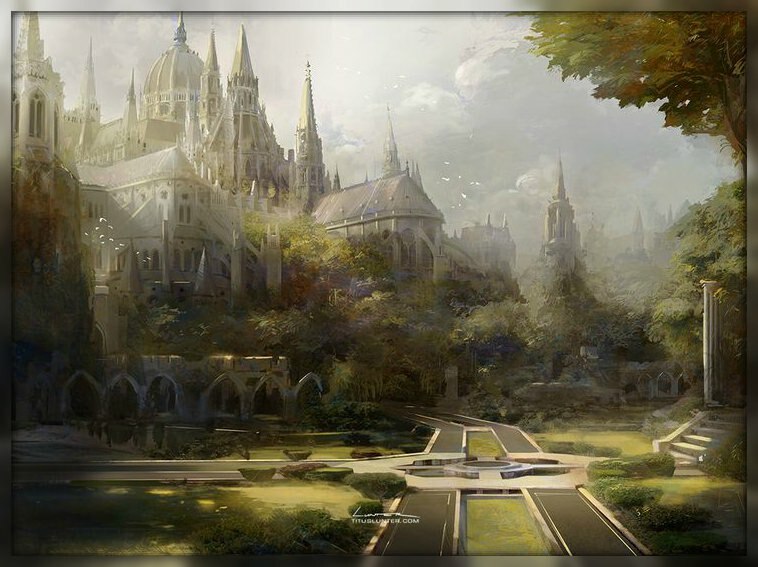 Eoana Academy has officially completed its 5th school year since it’s official opening after peace was achieved between the Kingdoms of Valor and Trendel. Several students and civilians have been reported missing in recent months. While some of these disappearances were students transferring unofficially to other Academies, or returning home, there has been one confirmed student death. Cause of death has been classified as a murder. The two suspects involved are described as an old, haggard woman, who is known to reside in the woods and an elderly man with a long scraggly beard. Valor, concerned for the safety of any of their citizens who may be attending the Academy or living in the city, have sent General Diane Lennox to inspect the City Guard, Captain Reynard Balgaire’s Command, and the City itself. It is unclear how long General Lennox and her men will be in the City. General Lennox has opted to stay in the City to support the Eoana City Guard until further notice. It is unclear whether Trendel will send their own military representative to investigate the situation. The Fifth School Year has come to an end. The 3rd graduating class has completed their graduation requirements and received their scrolls. Many of these students will stay for the Graduate Program while others are moving on to other roles in the world. The Fae Sylrenya, along with First Court Mage Gannon (equivalent to the Headmaster) and student Kayl, venture into Eoana Forest to find Sylrenya’s lost home/village. They discover that the village has been decimated by an unknown attacker. One lone survivor was recovered and taken back to the Academy for Treatment. The Fae survivor, Argos, was found to be afflicted with a magical wound that could not be treated. One student, Lelyna, was able to use her raiment to extract Argos’s memories of the attack on the fae village to reveal who had committed the act of genocide against the fae. The memories were then shared with several members of the staff, two students and Sylrenya herself – the atrocities committed left everyone physically and mentally ill/weak. Lelyna succumbed to extreme fatigue as a result of the strain and is now confined to the infirmary for treatment and rest. A mysterious Nobleman arrived at the Lord Marshal’s office along with a few of his subjects. They proceeded to attack a small group of guards and the Lord Marshal himself. The Lord Marshal later claimed that the entire interaction was an unscheduled ‘training session’. This in itself is highly suspicious to Captain Reynard who was not notified of the ‘training’ which resulted in several of the guards being sent to the healers for wounds and recovery. The Lord Marshal insists that Reynard ‘drop the subject’. - Have you roleplayed through GaiaOnline in the past? - What is a Knit (the story definition)? - Are you willing to stay active in the guild, even if it means to post at least 3 times a week? - What is rule no. 9 of this guild, in which is also important to other RP guilds as well? -Please PM The_littlest_dragonfly for a mini 1v1 RP session to determine your literacy. - Do you love fantasy? This roleplay was the creative idea of Pinkberry Blossoms. However due to her absence, we have used her idea to continue her wonderful story elsewhere.